U.S. Rep. Gus Bilirakis said the city of Tarpon Springs is set to receive $3.5 million in funding through the U.S. Army Corps of Engineers for the project. 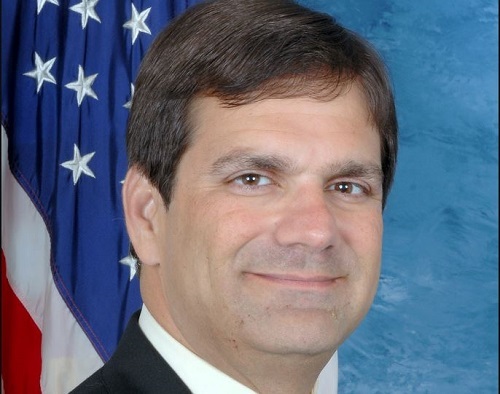 WASHINGTON, DC – U.S. Rep. Gus Bilirakis, R-Tarpon Springs, has announced that the federal government has earmarked about $3.5 million to help dredge the Anclote River. The city of Tarpon Springs will receive the funding through the U.S. Army Corps of Engineers. The economic value of the Anclote River is of significant importance to Tarpons Springs, Pinellas County, and the entire Tampa Bay region, he said. According to a 2016 Economic Impact Study, the river services more than 150 marine and tourism related businesses, accounting for about $252 million in commerce. These businesses and the river’s natural beauty attract more than 1.1 million visitors to Tarpon Springs each year. Additionally, Tarpon Springs accounts for 56 percent of all commercial fish landed in Pinellas county. Silt build-up on the riverbed created shallow water levels, which can be less than three feet deep at low tide. These risks have not only impacted businesses along the river and the Tampa Bay region, but threaten the Tarpon Springs port as a harbor of safe refuge for endangered vessels. After Hurricane Irma, the U.S. Army Corps of Engineers conducted a bathymetric survey of the river that showed significant worsening of the shoaling because of the hurricane. Bilirakis said he fought to get the funding because he was concerned that this condition would weaken the fishing and tourism related businesses in Tampa Bay, subject residents in northern Pinellas and southern Pasco counties to increased flooding dangers, and further imperil ships seeking refuge in a crisis.